Association Solutions work with some fantastic people that provide great services and we'd like to share those with you. See below for some of the treasures we've uncovered. Click on the links below for some fantastic services that we use regularly and provide excellent service. Rachel Apelt from Artbalm provides adventures in art and healing. 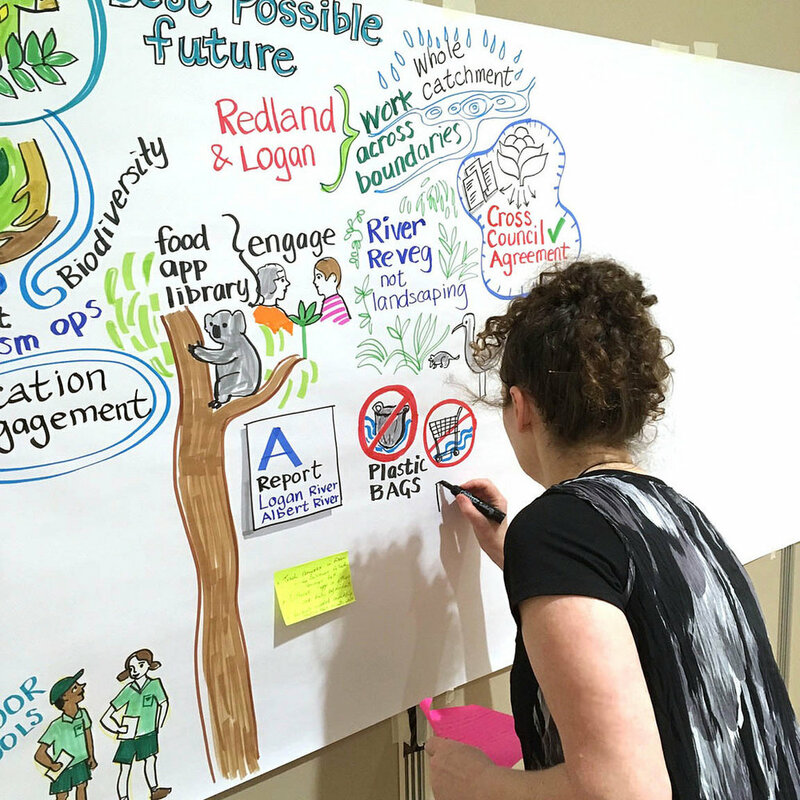 Rachel is a skilled facilitator and graphic recorder. Don't just hold a planning session, get a lasting graphic that can be used in a multitude of ways, showing the ideas and inspirations of your group. Heartburst is an Australian digital agency dedicated to the not-for-profit and community sectors. You'll find them helping NFPs advance their cause with online fundraising, working with schools on digital storytelling, or enabling ecommerce for social enterprise. They partner with our clients in the pursuit of their 'heartburst'. MBE Brisbane CBD is your Full Service Business Centre, they pride themselves on superior customer service and a product which is the highest in quality. MBE Brisbane CBD offers all the full range of office services from Mail Receiving, Couriers, Copying to Office Stationery, but it doesn't end there. They also have large format ink-jet printing, Graphic Design, Desktop Publishing, Offset Printing, Oversize Laminating and much, much more! These guys are awesome!